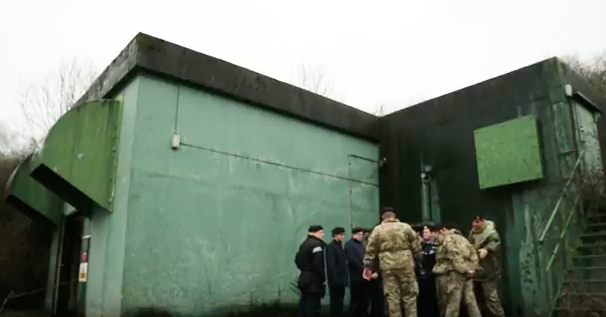 Sometimes a chance conversation can have unexpected and very positive effects, and that’s exactly what has happened with the disused nuclear bunkers on the Swynnerton Training Area in Staffordshire. My name is Jim Salisbury and I’m the Training Safety Officer here at Swynnerton where I work for DIO SD Training as part of DIO. It’s a job I’ve been doing for about 13 years following a career in the Army where I served with the infantry. Whilst serving I had trained at Swynnerton on many occasions and used the Defence estate extensively. I can recall the area of the bunkers being of special interest as the curiosity of them being closed off to us but still having maintenance raised a few questions as to what their use was. We did find out they were still actively maintained then for use by the Government as a regional centre in case of any nuclear conflict and it was only in the late nineties that they went out of use. From Reserve Forces to Special Forces, we provide training opportunities for almost every branch of the military. 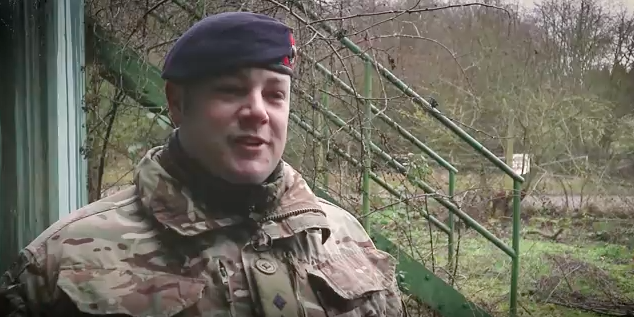 Last year we had a detachment of local sea cadets here and by chance their commanding officer – Lt Lee Townsend RMR - came across our two disused nuclear use bunkers. Although the two bunkers themselves are closed off with only approved access he was able to see inside the electricity generator room through a crack in the door where the two diesel generators are located. Lt Townsend’s curiosity was natural given that he’s an engineer and works for Perkins Diesels in Stafford. Although the diesel engines, which once provided electricity to the complex were made by Rolls Royce, the designs actually now belong to Perkins, which bought the RR Diesel engine company in the 1980s. Anyway he could see that they were still in a reasonable state of repair, and he had the idea that they could be restored to working order as a training project for his cadets. Most of the complex has been locked-up for almost thirty years. Almost everything inside has been removed, however the two diesel engines were left intact. The site started life as a Royal Ordnance ammunition factory during WW2. In 1962 two of the nine semi-sunken explosives magazines were turned into the Civil Defence Control centre for North Staffordshire. The complex included offices, control and communication rooms and accommodation all designed to be used in the event of a nuclear attack. It also had its own water supply from a bore-hole and an air filtration system. By the end of the 1960s this Civil Defence function was moved elsewhere, but in the 1980s amid a new wave of Cold War concern the bunkers came back into use. This time they became the emergency Regional Government Headquarters (RGHQ) for the West Midlands. The labyrinth of rooms and passages were updated to sustain a team of military and civilian staff. The complex had a radio studio, dormitories, kitchen and canteen facilities plus numerous storerooms. With the end of the Cold War came the closure of what’s now become known as the ‘Nuclear Bunker’. So for almost twenty years it’s been locked up – an empty lifeless labyrinth, which by torch light has quite an eerie feel. So last year Lt Lee Townsend and his father, Lt Commander Graham Townsend, came to see me with the idea of getting the engines working again. Their initial thoughts were based around a project which could be carried out by the cadets: something which would provide realistic engineering training. I thought it was a great idea and immediately offered my support. It then occurred to me that if they were able to get the engines running and they could be maintained, the engines could supply the bunkers with electricity. In turn this could give us access to the bunkers and then open-up a range of possibilities in terms of using them, as part of the training area. So work started on restoring the engines and when Lt Townsend told his employers, Perkins Diesels, about the project, they generously offered all sorts of help including parts and expertise. Together with Army Signallers from MoD Stafford, the Sea Cadets and staff from Perkins, the first of the two engines has been brought back to life. 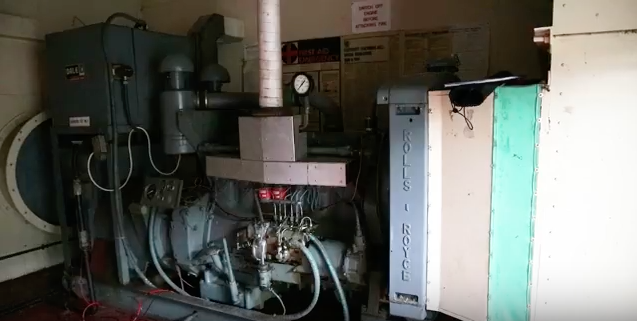 We obviously now have high hopes of getting the second engine running and then we can think seriously about using that electricity to allow the complex to be used again. So from small conversations an amazing partnership has been developed, and besides the physical results has also proved to be an inspiration to many of the sea Cadets involved in the project, with some now talking about a career in engineering because of what they’ve achieved. It's interesting to learn that these bunkers have been brought back into partial use. I remember them from my RAF days when I underwent a week's exercise here during my traing for the RAF's Tactical Supply Wing. I didn't see much of them, suffice to say we passed close by to them twice.